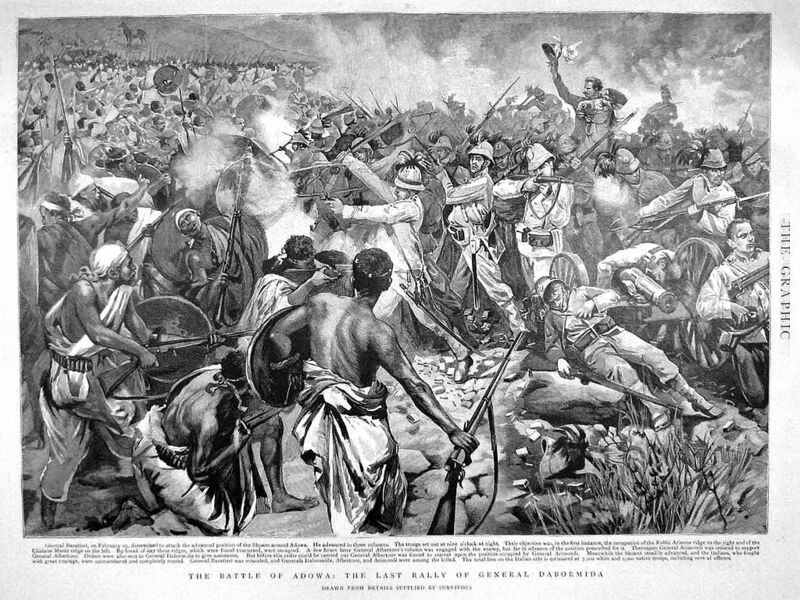 The Battle of Adwa is known to have stopped the colonial aggression of Europeans in Africa after Ethiopian forces surprised the world by defeating heavily-armed Italian troops that attempted to conquer the Empire in 1896. Behind this victory that maintained Ethiopia as the only African nation that was never colonized, lies a brilliant military strategist named Empress Taytu Betul. 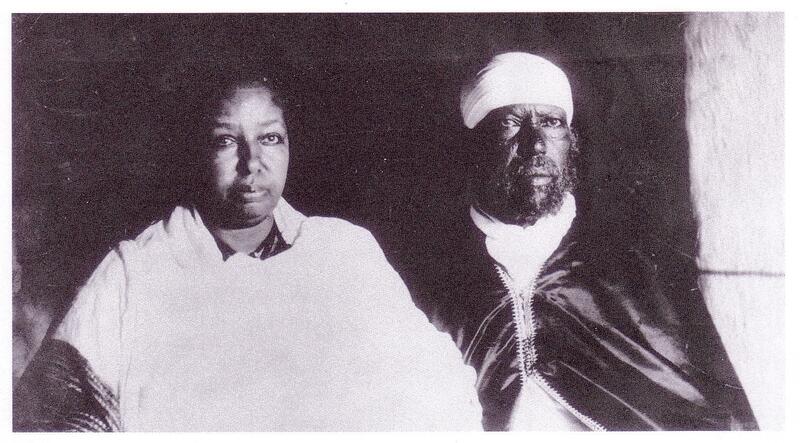 Taytu was a loyal and respectful wife of Menelik II whom she married in 1883 when he was still King of Shewa. Their marriage was beyond romance as it was believed to be a political marriage aiming to seal alliances with the northern regions where Taytu’s family held important positions. 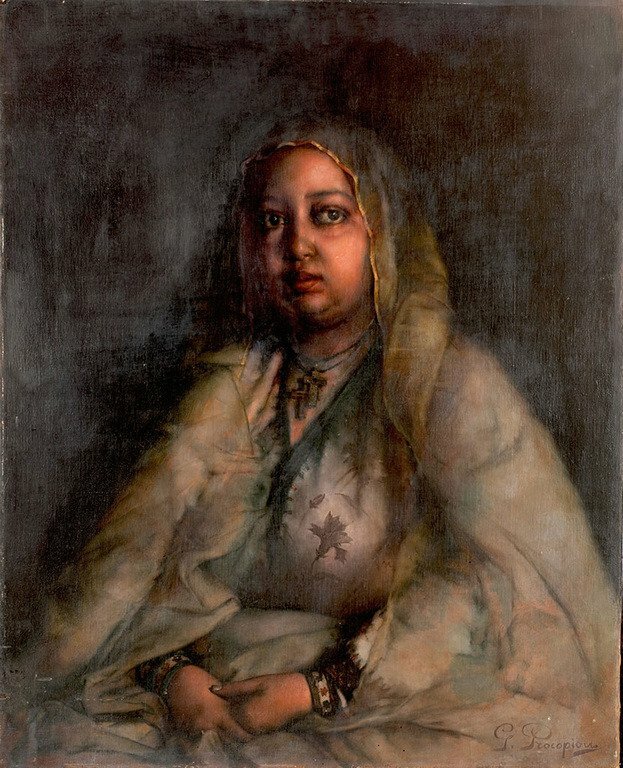 Having been born into an aristocratic Ethiopian family related to the Solomonic dynasty, Taytu was educated, which was exceptional for an Ethiopian woman of that time. She could read and write Amharic, and fluently spoke Ge’ez, the language of the sacred texts handed down over centuries in one of the world’s oldest Christian nations. 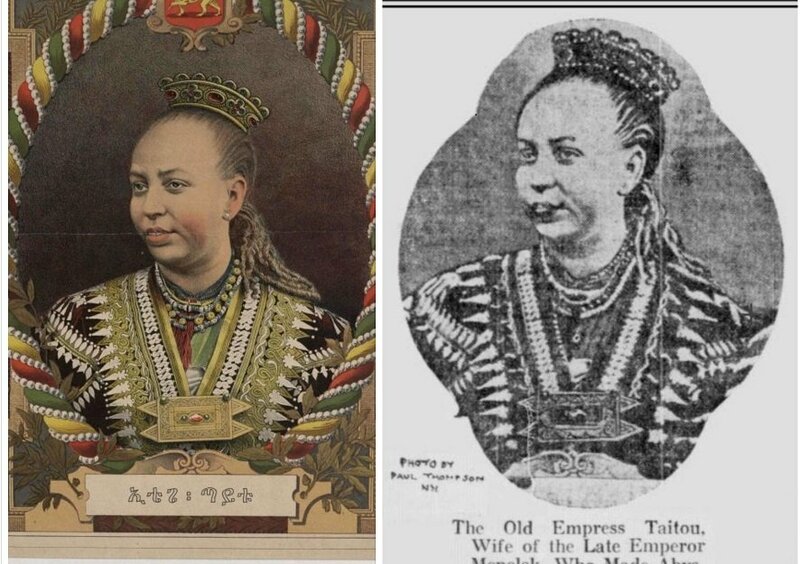 With Menelik’s ascent to imperial throne, Taytu became empress of Ethiopia in 1889, and in that capacity became a valuable advisor to him. He would consult her prior to making important decisions and due to her intelligence and loyalty for the throne and her country; he endorsed her views and proposals in administrative, political, military as well as foreign affairs. Menelik who often prevaricated and postponed unpleasant decisions found it useful to have his wife be in a powerful enough position to say “absolutely not” to people and issues he just didn’t want to personally refuse. As the most powerful woman in the land, Taytu handled the role very well which earned her many haters and critics while Menelik kept enjoying the love of the people. 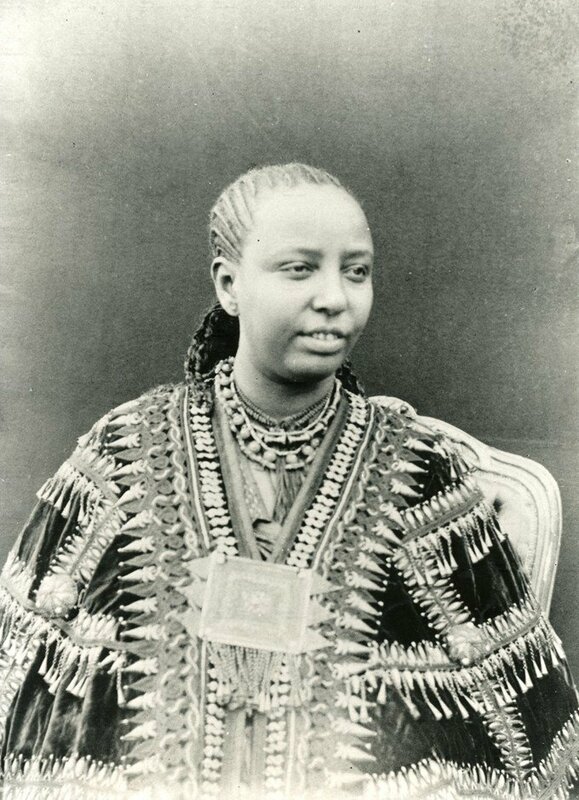 Determined to protect her country and husband’s interests, she went on to play a key role in the conflict over the 1889 bilingual Treaty of Wuchale which did not say the same thing in Italian and Amharic; the Amharic version recognized the sovereignty of Ethiopia and its relationship with Italy as just a diplomatic partnership, while the Italian version made Ethiopia Italy’s protectorate. When that deception in the treaty was discovered by a councilor to the Emperor, Taytu tore up the treaty and pushed the Emperor to declare war against Italy. She declared that she preferred war to accepting protectorate status for Ethiopia as provided for in the Italian version of Article 17. Her stance against the Italians earned her the title of a ‘stubborn woman’ because not only did she put pressure on her husband not to make any concessions to Italy, but she insisted that no diplomatic courtesies should be accorded to the Italians in any diplomatic correspondence with them. 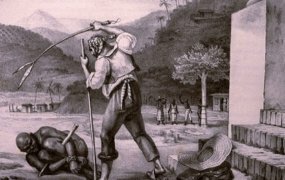 Menelik’s declaration of war did not shock the Italians as they fatally underestimated the Ethiopians, and Italian victory was considered a foregone conclusion in Europe and elsewhere. Convinced that they would face pushovers on the battlefield, the Italian army invaded the Empire from Eritrea. During the war Empress Taytu ignored proposals by some higher officials that she stay in the capital and keep peace and order; she bravely stood up and motivated men against retreat and mobilized thousands of women and encouraged them to take part in the fighting and care for the wounded soldiers. All these women and the non-combatant men that she mobilized were armed with spears, shields and swords to participate in the actual fighting in time of need. Taytu made a remarkable contribution to the war effort when she proposed to besiege the Italian fort at Makelle by controlling their water supply which was approved by the Emperor. Although it was not easy to convince the Ethiopian soldiers that controlling the water source would be a more effective tactic than attacking the fort, 900 men from the Empress’s contingent went on to execute her plan. 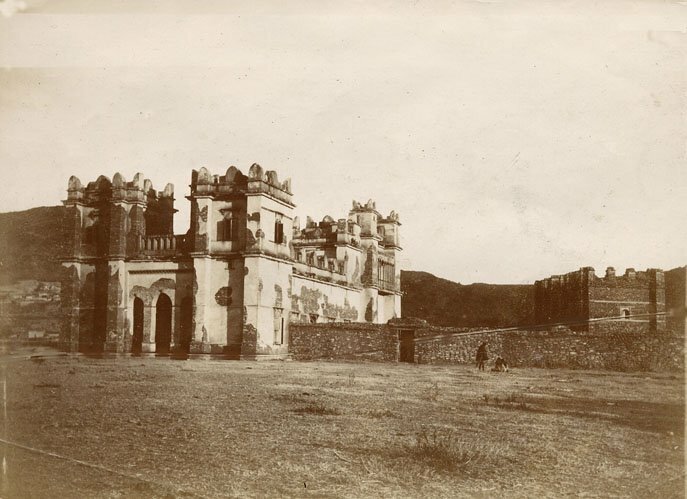 Taytu’s plan worked and the Italians suffered from shortage of water and surrendered their partially completed fort in a city which they had occupied since 1895, to Ethiopian forces. Throughout the assault on the Italian troops, Taytu was on the frontline in the battlefield commanding her own contingent of about 5000 infantry and 600 mounted troops. The Empress also received and analyzed intelligence information which has been characterized as of crucial importance to the Ethiopian victory at the battle. This information enabled Ethiopian soldiers to attack the Italians at Adwa instead of Adigrat where the Italians had a well-protected military base. When the war ended with the Battle of Adwa, the Italians suffered a humiliating defeat at the hands of a united Ethiopia. There is no doubt that Empress Taytu’s intellectual and physical contribution led to this historical victory of an indigenous African army putting a definitive stop to a colonizing nation’s efforts. As the top lady in the Empire, Taytu kept exercising great power and when the emperor’s health weakened in around 1906, she began to make decisions on his behalf. She later faded from the political scene until her death in 1918. Taytu Betul, whose name means ‘sunshine’ continues to be hailed as “the Light of Ethiopia”.